These images are licensed under a Creative Commons Public Domain License. 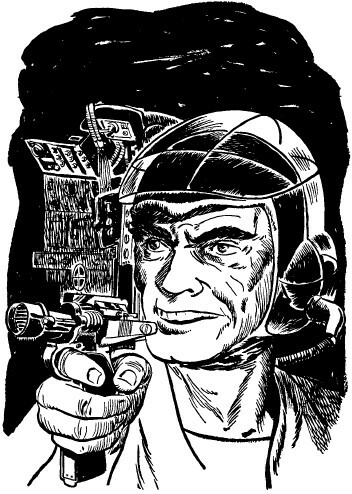 From A TOM CORBETT Space Cadet Adventure THE SPACE PIONEERS By CAREY ROCKWELL, 1953,illustrations by LOUIS GLANZMAN. Project Gutenberg Transcriber''s note: Extensive research did not uncover any evidence that the copyright on this publication was renewed.